RA, while it can occur at any age, it is more common during middle age. It affects woman much more often then men. It tends to equally affect joints on both sides of the body equally. It is normally found in fingers, wrists, knees and feet. The ankles can also be affected. Rheumatoid arthritis begins slowly, and the patient just has minor joint pain and stiffness. It then progresses to the joints losing range of motion and becoming deformed. An auto immune disease is a condition where the body attacks itself. The body, or it’s organs actually go against substances and tissues that are normally present in the body. Did you know that fat can trigger auto immune reactions from the body? By avoiding fat, mostly animal fat, people with RA have been reported to have lessened their symptoms. While a vegetarian diet is not for everyone, many people have chosen that path, and have decreased their symptoms dramatically. In one trial, people were put on a 14 week gluten free, vegetarian diet. They were allowed to drink milk, or eat yogurt, but no other animal products were allowed. This study showed that this diet led to significant improvement in the RA symptoms. During a 20 year span, Max Warmbrand, a naturopathic doctor used this diet to improve his patients with RA. Those who stayed on the diet for the recommended six months saw improvements. Those who did not, the approach failed. Rheumatoid arthritis is found to be linked to food allergies. In many people, their RA is made increasingly worse if certain foods are eaten. Even if you are not “allergic” to a food, you can still have an intolerance to it. An intolerance is a sensitivity to a certain food. To find out if you are intolerant to a certain food, an elimination diet would have to be in order. A doctor or nutritionist should be called to help you. They can run blood tests that can help you to establish and food allergies. Finding and eliminating food triggers can be very beneficial to alleviating symptoms, and to possibly stopping the progression of the disease. 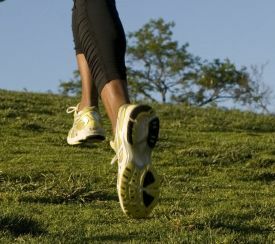 Even though exercise seems impossible, many people find it beneficial. It may increase pain at the start, but after time it can help. Many doctors recommend swimming, low impact yoga, walking and stretching. You and your doctor can decide what it right for you. Could Tomatoes Be Bad For You? Tomatoes and other night shade family of plants contain a natural chemical called solanine. While it is a natural chemical, if it is not destroyed by the intestines, the substance becomes toxic. Again, results often take at least 6 months to show any improvement. While it can be difficult to stick to this elimination diet, it works for many people. The EPA, and DHA is fish oil can cause nose bleeds. It is due to the fact that fish oil reduces blood clotting. Gastritis can also be an issue for some. Rheumatoid arthritis causes painful, inflamed joints. This reaction in the body depletes the joints of Vitamin E. A double blind study showed that patients who took 800 IU of Vitamin E per day found it to relieve many of their RA symptoms. Other research shows that patients with RA are deficient in pantothenic acid (PA), also known as Vitamin B5. When a patient takes Vitamin B5, they have less morning stiffness. Recommendations would be 1000 mg. per day. When a person has rheumatoid arthritis, their body does not metabolize zinc properly. Your doctor will be able to check for a zinc deficiency. If you are deficient, adding zinc to your diet can be helpful. Copper acts as an anti-inflammatory. It is needed to active an enzyme that protects joints. People with RA tend to be copper deficient. Several copper compounds have been used to successfully treat RA. Even copper bracelets can be helpful in relieving symptoms. The most consistently effective form of copper is copper aspirinate. This is a combination of copper and aspirin. A researcher showed that regular aspirin had a 6% anti-inflammatory action, copper added to aspirin had a 130% activity. Studies have shown that taking Omega 3 fatty acids in fish oil can improve symptoms. These oils, called DHA and EPA can help the symptoms of RA. Normally 10 grams of fish oil a day is recommended. Results can take up to 3 months. Evening Primrose Oil or EPO can be helpful to patients with RA because partially converts to prostaglandin E1. Prostaglandin E1 is known to have anti-inflammatory action. A double blind study showed that people who take EPO have significantly improved their morning stiffness. 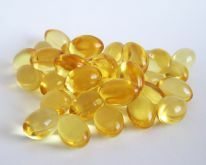 Evening Primrose oil and fish oil can be combined successfully. Boswellia is a traditional Ayurvedic medicinal herb. It has been used in Indian for thousands of years. One study showed that using boswellia, patients found a beneficial effect on the pain, and stiffness of their joints. They also had much improved joint function. The herb has a similar action to NSAIDS. Most people take 400 mg of the gun resin extract in capsules 3 times a day. When used as directed Boswellia is generally safe. Some side effects can include diarrhea and skin rash. Turmeric, which is a common spice in most cupboards. It is used in many curry dishes. The active principle is curcumin. Curcumin is a very potent anti-inflammatory herb. It also protects the body from the damage of free radicals. Patients normally take 400 mg capsules or tablets 3 times a day. People who are prone to gall stones should stay clear of tumeric. Ginger, another common spice, has also been used by Ayurvedic practioners as an anti-inflammatory for years. It comes in capsule form, and can also be taken as a tea. A salve, or cream made from cayenne can help to relieve the pain of arthritic joints. It can cause a burning feeling, but this should lessen within a week. Cayenne contains capisacin, a strong anti-inflammatory property. 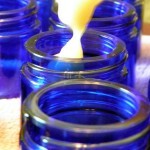 A tincture of cayenne can be made, and used as a liniment. Rub into affected area 3-4 times a day. When using a cayenne product, there may be a burning sensation, but this is short lived. Be sure to wash hands thoroughly after use. You do not want it to come in contact with your eyes, or other mucous membranes. Yucca, a desert plant, is a popular remedy. It contains saponins, and can help ease pain. Yucca tea can be drank 3-5 times a day. Use 7 grams of herb to one pint of water. Make a decoction, and drink throughout the day. Yucca tea can cause loose stools. If this occurs, reduce the amount or stop entirely. Ice and heat therapy, called thermotherapy, is used by many to treat the pain that RA causes the body. Heat can be applied by using a heating pad, a heat patch, or a heating rub. The heat increases the natural circulation to the injured area. It helps to relax the muscles that are tightened from pain. Ice or cold will numb the pain. It cools the nerve impulses to the sore joint. Cold helps to decrease swelling by constricting the blood flow. Ice therapy has shown to increase the range of motion often affected by arthritis. This article is not meant to treat, cure or diagnose. It is for informational purposes only. Always check with your doctor before starting any natural regiment. Even though they are natural, they can have interactions with meds. Dosages mentioned are typical, but may not be right for you. Check with a doctor. Large amounts of Vitamin B5 (pantothenic acid) can cause diarrhea. Zinc, when taken in excess of 300 mg a day may impair immune function. This can be dangerous. People with Wilson’s Disease should never take copper. The level at which copper can cause problems is unclear. It would best to check with a doctor or nutritionist. In combination with zinc, up to 3 mg a day is considered to be safe.